Goji's RF module is designed to deliver RF power for cooking while keeping the delivery system cool, in a cost efficient manner. At its essence, we figured out how to take high power RF solid-state telecom and radar technology and bring it to the kitchen. Over half of my team, including myself, brought a lot of knowledge on wireless communications and radar systems to Goji. Here, we all met an exciting new challenge that had us working day and night to solve. I am very proud of what we have built together and am looking forward to seeing our technology help people cook better food worldwide! 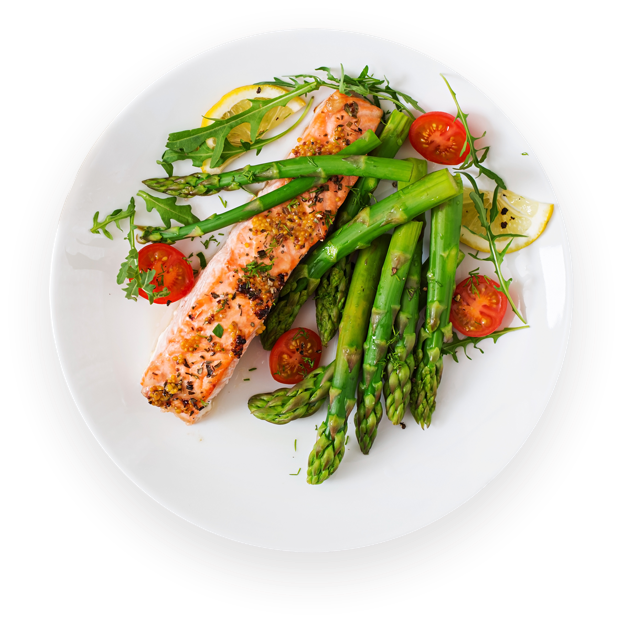 Advances in solid-state RF cooking technology mean that we can now control the way we cook with precision, producing high-quality food quickly. We expect its use to grow in both commercial and domestic settings. However, its integration into ovens presents a number of challenges, not least of which is thermal design, or how we deliver RF power for cooking while keeping the delivery system cool, in a cost efficient manner. 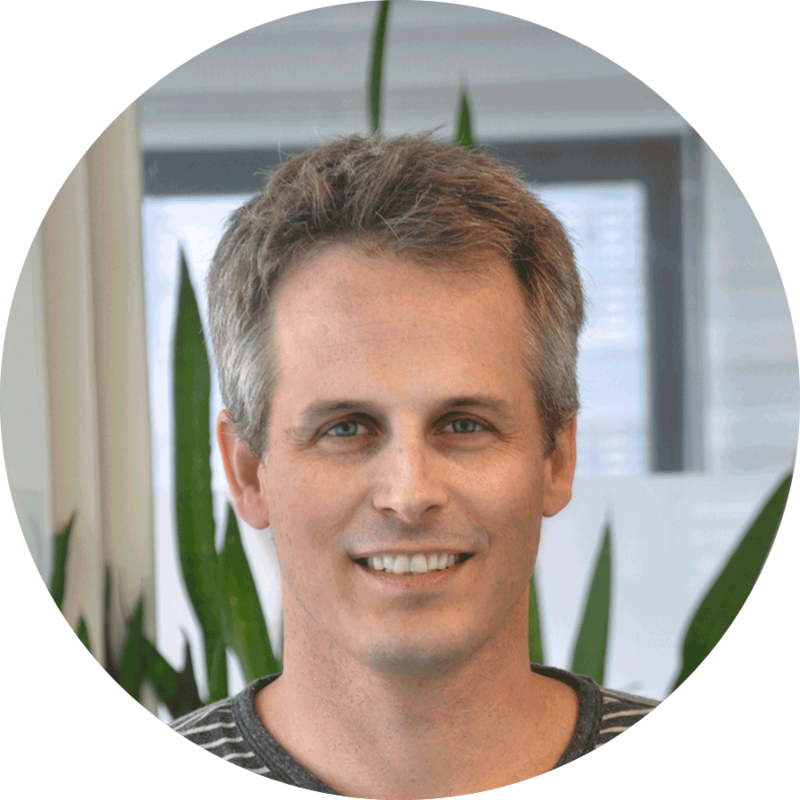 An article published in AMPERE Newsletter discusses this topic and the tools Goji uses to address the challenge successfully. The solid-state power transistors used in Goji’s RF cooking technology are comprised of a semiconductor die attached to a metal base, packaged and connected with bond wires to external conductors. The transistor delivers RF output to the oven cavity, and it is precise control of this element that enables different food loads to be cooked appropriately. As it can generate 250 watts of RF power, has a maximum operating temp of around 200 degrees Celsius, and produces up to 200 watts of dissipated heat, having an effective cooling system is crucial. Having designed the first complete RF cooking system to be fully integrated into an oven for domestic use, the Goji engineering team is well-versed in these challenges. Factors such as acoustic noise level, size and cost must be taken into consideration in the thermal management of RF cooking systems. Coupled with this, balancing cost and performance are critical in bringing any appliance for use in the home to the market. Having designed the first complete RF cooking system to be fully integrated into an oven for domestic use, the Goji engineering team is well-versed in these challenges. Goji’s Vecton™ RF power module has a base plate constructed from die-cast aluminum, which helps minimize its cost. We knew that embedding a copper insert in the base plate would make it a more efficient heat sink, thanks to the higher thermal conductivity of copper, compared to aluminum. 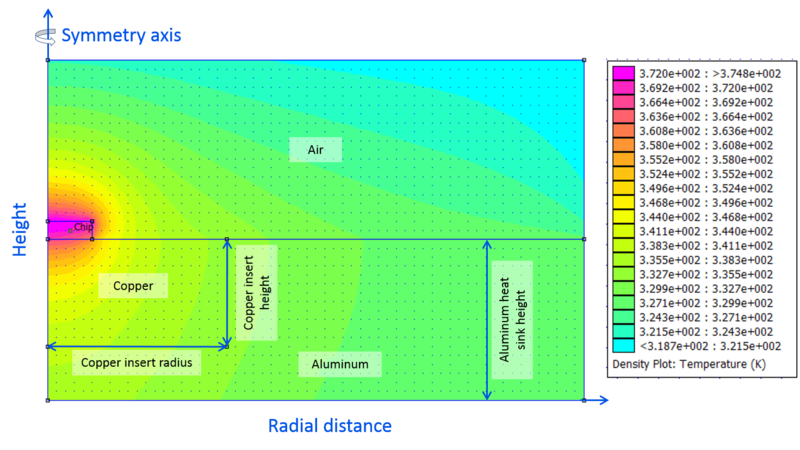 Copper is significantly more expensive than aluminum, but by running a heat sink simulation, our team were able to identify the optimal balance between cooling performance and raw materials cost. 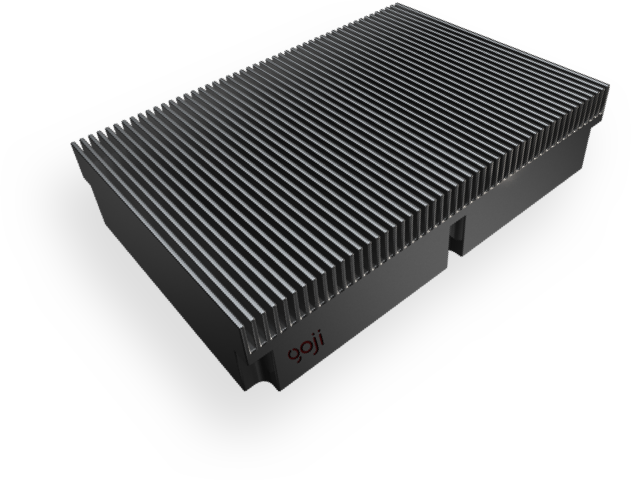 Goji's heat sink model is used to optimize the balance between cooling performance and raw materials cost. In developing tools and processes designed to optimize thermal management, while also balancing performance and cost, Goji engineers are bringing solid-state RF cooking technology closer to the mass consumer market. Our experience also enables us to provide services to appliance companies seeking to improve the thermal management of their own RF systems. The full article on Thermal Management of Solid-State RF Cooking Appliances is available on pages 14 to 18 in Issue 91 of AMPERE Newsletter.